Once Archie Karas mowed down the world's best poker players, building up a bankroll of $17,000,000 from his original $50 start six months earlier, could there possibly be any more magic left? The answer is gambling's version of a Houdini act. 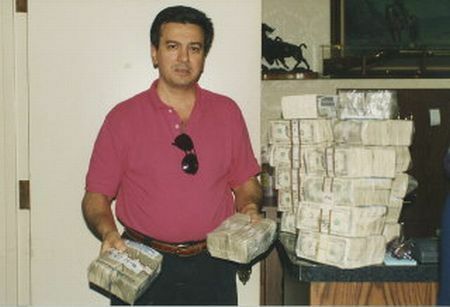 Archie turned his sights to the dice tables, where every day for over two years, he played the highest limits in the world, running his fortune to over $40,000,000. It may sound funny to most of us, but his new problem became where to stash all of the cash he kept winning! Archie said, "The more I won, the harder it became to find big enough boxes around town to put all my money in different banks. With long waiting lists for the bank's biggest boxes, I was forced to keep more money than I wanted to in the boxes at Binion's Horseshoe. The urge to gamble big amounts of money comes way too easy when millions are sitting in the casino's boxes." I said, "One of the most fascinating things about your story to me, and probably most people, is you were a one-man army. You transported literally millions of dollars back and forth around town here, trying to get it in and out of banks. You didn't do this a few times, but did it several times each week, for over two years! Can you tell us a few inside details on how you managed to do this, without getting hurt or heisted?" Archie began, "The Horseshoe had a designated parking space for me in the valet, close to the door. I never let anybody know when I was coming, because I brought $3,000,000 to $5,000,000 with me all the time when I was going to shoot dice." I said, "Archie, moving this kind of money around by yourself simply boggles my mind. Weren't you worried about being heisted?" Archie said, "I was moving the money in and out, a very dangerous process. I was doing a masterpiece with it, because I felt like every heist man in the world was hanging around. I had bought a new home in Summerlin, and a friend of mine asked if anybody knew where it was. I said 'no', as he didn't know where it was either. So he said, 'Get in the car,' as he then drove me about 12-13 miles straight to my house! He made his point, as he advised me to be extremely careful, as he heard there were a lot of heist men in town. From the beginning, I tried never to repeat how I did things, and took extraordinary precautions at all times! "Bringing money from my bank boxes down to the Horseshoe to shoot dice is probably how I survived playing the highest stakes in the world for two and a half years I might add, that when I transported big money from the bank to Binion's Horseshoe, I did it in my car by myself. Only one time did I let someone go to the bank with me in my car to pick up $4,000,000 for the day's play, and that was my brother, who was visiting from Greece. He was so nervous to be transporting such a large sum of money, it looked like the color of his face had changed. Although I carried two guns with me for protection, it gave him very little comfort, I guess. I had an Austrian Gluck 40, which had 18-bullet clips, like a mini machine gun, and a German Sig Suier 45, that would go off like a cannon. After that one trip to the bank in my car, I asked him if he wanted to do it again, and he quickly said, 'No thanks!'" Archie, I have a couple of questions for you: "Do you have any idea how much $1,000,000 might weigh? Archie said, "I once weighed $2,000,000 and it was 80 pounds. So each bag with a million in it weighed 40 pounds." I then asked, "So, if you carried two bags of money into the Horseshoe it was almost like weight lifting. When you hauled $3,000,000 to $5,000,000 in your car, did you go back and get the other bags yourself in valet?" Archie said, "I mixed up my routine a lot. I was very unpredictable. Many times I would return to the car with two security guards to get the rest, and quickly move the money inside. Quite often I would circle the hotel, looking for a door that had no strange people standing there, and would stop my car, sometimes leaving the motor running, while quickly scooting $2,000,000 through the door straight to the cashier's cage! I'd tell them to count it, while I'd go back and move my car around to the valet. If I brought three to five million to gamble with that day at a side door, I'd lock the car door, and quickly round up two security guards to help me haul the big bags inside to the cashier's cage." "Again, I never let anybody know my arrival schedule. I was very careful. I might add, whenever I drove my car to the bank to pick up several million to play with for the day, I might drive around for an hour, checking my rear view mirror, making sure I wasn't being followed. I would try and time it so I would get to the bank about a half hour before the bank closed." "If I lost what I gambled on that day, I couldn't return to one of my banks to get more. I'd have to wait until the next day. It was one of my tricks to self-manage my losses for one day." At this point I asked Archie, "When you transported your winnings from the Horseshoe to a bank, did you drive your car or use the hotel's limousine with security?" Archie answered, "From the Horseshoe, I would almost always be driven to the bank in one of their limousines, with two security guards. One would drive, and the other would sit with me and my bags of money." I asked, "Did your brother ride with you from the hotel in the limousine with the security guards, when you took money to the bank?" "Yes, he did that several times, and he felt more comfortable with the security guards. I told Jack Binion once, 'Jack, we are going to get heisted one day,' and he said, 'Archie, I'll give you two limousines with four security guards if you want,' but I never took him up on it, as keeping a low profile was the most important thing. "In fact, every time we would start out from the Horseshoe, they would inevitably ask me the name of the bank we were headed for, and I would always tell them, 'Don't worry about it… just drive. Turn here, turn there, and go straight here for the next ten miles.' I never announced where we were going, as I had about six different banks. I didn't trust anyone, and only veered them to our destination when I felt we were safe and not being followed. "Jack Binion, in a fatherly tone of voice, used to tell me, 'Archie, if anyone ever gets the drop on you, just give it up… give it up. Let them have the money.' I loved Jack, as he gave the true gamblers the best chance to win, offering them the highest betting limits. He also was a very smart man, who knew how to give good advice. "I ended up winning every $5,000 chip at Binion's Horseshoe, which was about $18,000,000 worth, that I kept in the boxes at the Horseshoe to gamble with. Each rack of chips had $500,000 in it, so I had accumulated about 36 racks of chips. Finally, one day, Jack Binion asked me to sell some of the $5,000 chips back to the Horseshoe, and I agreed to sell back about $10,000,000, leaving about $8,000,000 in chips to gamble with. "Mike Sexton will tell you, 'I was sitting next to Doyle Brunson in the poker room at the Horseshoe, when Jack Binion walked over with a rack of $25,000 chips and said, 'Look what Archie did to us. He won all the $5,000 chips in the casino and we had to mint these new $25,000 chips just for him!''" Stay tuned for Part 6, as we go back in time and look at the high betting limits Archie played at, as well as his biggest single-day win, plus his six biggest losses in one day during his legendary two-and-a-half year gambling spree. Tom Sexton is a featured columnist for PokerNews.com. Tom attended the University of Oklahoma on a full gymnastic scholarship, where he was captain of the team four straight years, becoming the first NCAA All-American and Big Eight Champion in OU's gymnastics history in 1968. 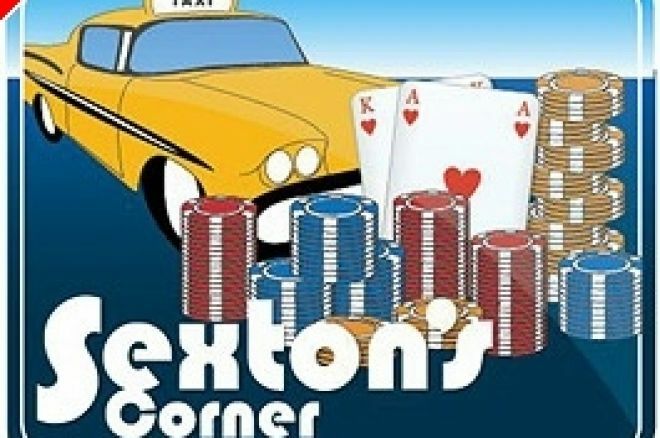 The Sexton family is well established in poker and includes Tom's brother Mike, the World Poker Tour commentator and poker's "First Ambassador", as voted by his peers. Tom welcomes your thoughts and comments about any of his articles. His e-mail is TSStarbuck1@aol.com.